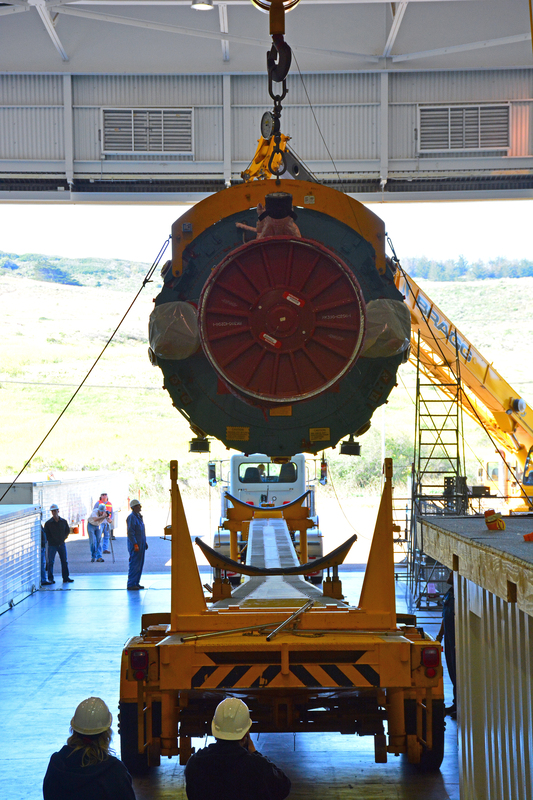 Preparations are under way for the 2017 launch of the Joint Polar Satellite System spacecraft. 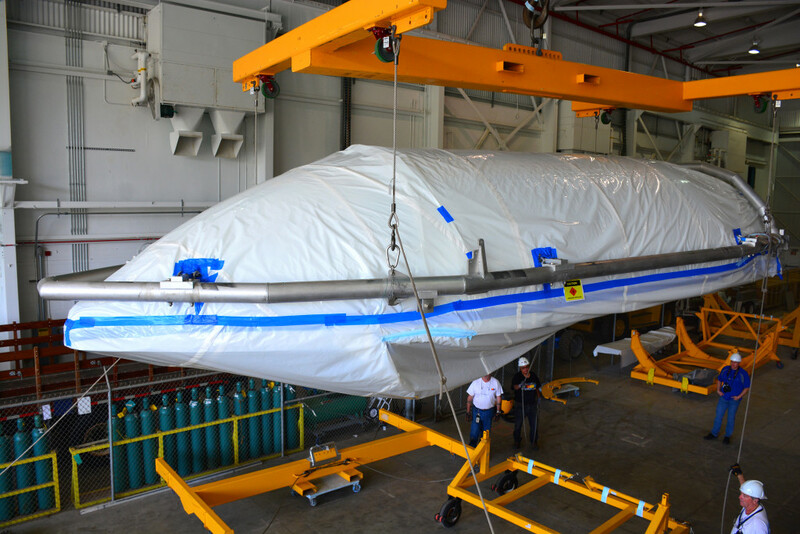 The United Launch Alliance Delta II rocket booster and protective payload fairing arrived at Vandenberg Air Force Base in California in early April. 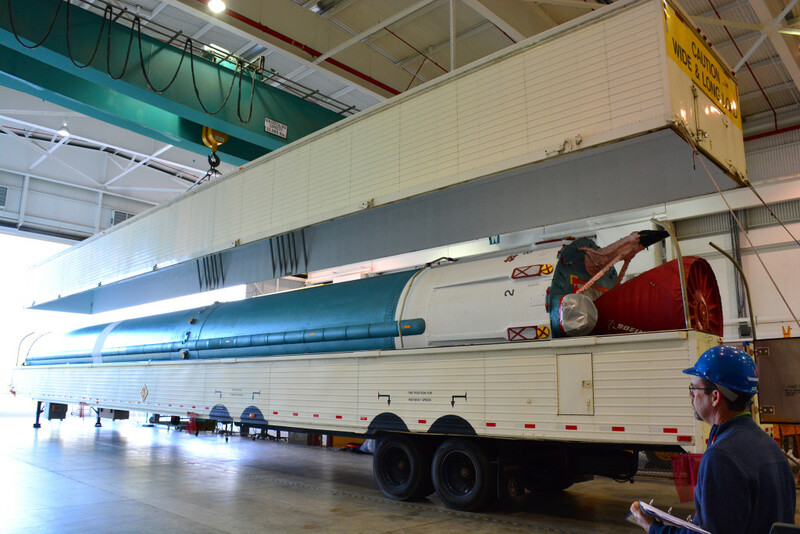 The booster was uncrated from its shipping container April 4 (above) in Vandenberg’s Building 836 and placed onto a transporter (right) for the drive to Space Launch Complex 2 on April 5. The two halves of the payload fairing arrived April 6 (below). The Joint Polar Satellite System (JPSS) is the United States’ next-generation polar-orbiting operational environmental satellite system. JPSS is a collaborative program between NOAA and NASA.